Welcome to Floor Coverings International Central Westchester! 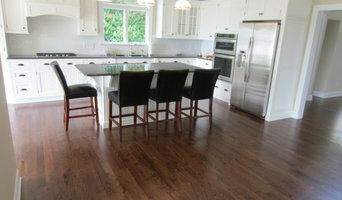 We are the premier flooring company serving the greater central Westchester area. We provide high quality design and installation services and carry the latest flooring products including hardwood, carpet, stone, and tile flooring! Take the guesswork out of getting new floors or refinishing and schedule your free in-home consultation today! 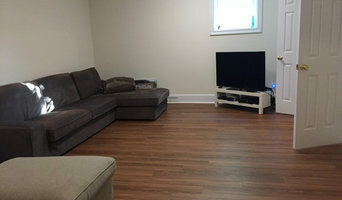 Thiago Lima is a wood flooring technician specializing in all types of Brazilian wood floors. Born in Brazil, the country where a majority of the high quality wood floors originate, he has acquired special skills and techniques that he implements in his work to make wood floors stunning and flawless. He has extensive experience working with all of the different species of wood, most of which are found in the Brazilian Amazon Forest. His exceptional knowledge and passion for wood bring innovation, beauty and dreams to life under the feet of our customers. His love for what he does is kept alive by the long-term satisfaction of our customers who are delighted with the long life and durability of the finishes of our floors that only Eagle Hardwood Flooring can deliver. 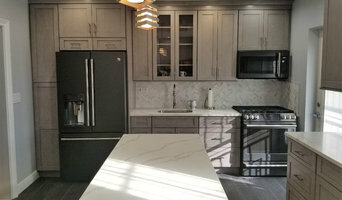 "PRODUCTION, PERFECTION AND CUSTOMER SATISFACTION IS OUR GOAL"
The Westchester Team brings the finest home improvement craftsman, artisans and master carpenters together and in service of you, our Westchester County neighbors. Contact our team today for home improvement jobs of any size. Together we will review your options and find the solution the best suits your needs, home and budget. Westchester Wash and Seal provides expert deck repair and staining, as well as professional power washing service. As a family-run business, Westchester Wash and Seal is proud to serve Westchester County as a premier power washing company. Westchester Carpentry provides home and property owners throughout Westchester County with the finest carpentry services available. Our company has been built upon the foundation of our reputation. 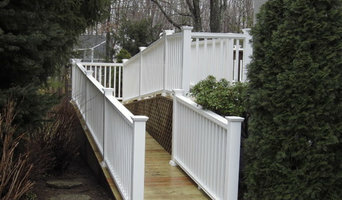 Westchester Carpentry is known for our dedication to our customers and the quality of the work we complete. Our woodworking skills and home-grown professionalism set us apart from the competition. We can tackle any and all forms of carpentry work for your home or business. The services we offer are highly specialized, we are excited to share them with you, our customers–you may be surprised at what we can do. Westchester Painting offers interior and exterior painting services to homeowners and property owners throughout Westchester County, New York. 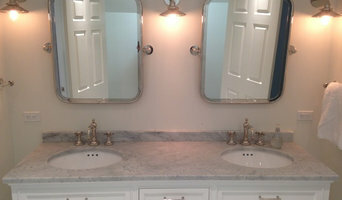 Westchester Painting is not your typical painting contractor; we love what we do! It shows in our work and customer relationships. We will partner with you at every step of the project. We use only the finest and most eco-friendly painting materials the market offers, are prompt, reliable and knowledgeable. Meet Rick Shepard from Weston, CT. With over 40 years in the home improvement industry, he has learned how to meet his customers expectations in a way that makes the most efficient use of the day's work hours. He ensures a proper work flow that assures a proper outcome. Delivering the proper outcome requires knowledge of customer expectations and job related circumstances. Rick understands that no two jobs are the same and each require a custom approach - with 40 years in this space, every customer is treated like family. Rick shares a breadth of knowledge with his homeowners by taking a methodical approach to his recommendations and floor selections. He understands types of woods, wear and tear, the flow of multiple colors in a room, as well as matching surrounding cabinets and wall colors. From first interaction to final product, Rick prides himself in customer satisfaction and quality work. Whether it be flooring sales, install, or refinishing, Rick's expertise always leaves your home, office, or business looking great. Euro Floors LLC has been serving the Tri-State Area since 1999 and have developed a reputation for quality, reliable customer service, and most environmentally friendly and GreenGuard Certified work and finishing systems. As a family business & owner operated, we specialize in wood floor installation, regular and custom designed floors, sanding, staining, finishing and repairs. We provide the options of Oil-based Polyurethane or Nontoxic Waterborne finish where you choose your finishing style from a high gloss shine, down to a semi-gloss or satin finish. Every man is highly trained and well qualified to provide the best service possible for your flooring needs. We are the first company in New York to apply Bona Environmental Choice System to safeguard your health while meeting your expectations. We are proud owners of BONA ATOMIC 110 DCS System- the most advanced dust containment system for dustless hardwood floor sanding which is used on 100% of our jobs since 2005. Only the most durable, scratch resistant, beautiful and with lowest VOC's levels Bona waterborne polyurethanes are used. We specialize in all kinds of flooring installations - parquet, herringbone, borders, inlays, custom designs, etc. In both, hardwood & engineered glued and nailed down floor systems. We are experts in staining, oiling and waxing. We are also concrete or wooden subfloors leveling and stairs & handrails refurbishing experts. Only we can give you the best quality work, the most prompt and healthiest service possible. Please call us today for a free quote! The Green Wood Guys, LLC is committed to the safest, cleanest environmentally responsible approach to wood floor resurfacing, installation and maintenance. We utilize all of the latest products and technology to ensure a minimally invasive and non-toxic work environment. This approach is both safe for you as a client and us as workers.